Looking for the right ski jacket can be a tricky task – there are more than a few factors to consider. Your favourite mountain will have its own set conditions, which will require a different set of features. Different kinds of skiing will also require a particular type of coat and as such, you will need to focus on a jacket which caters specifically to your potential needs. 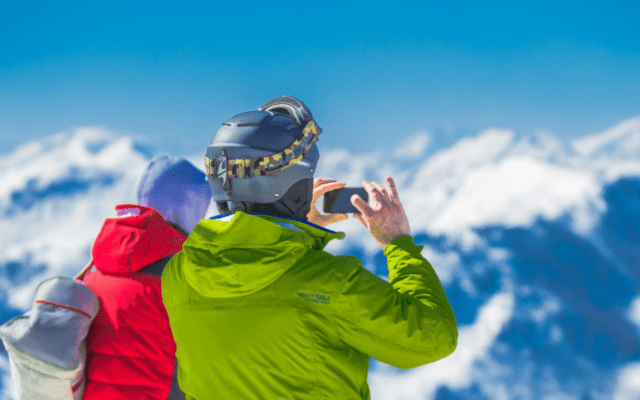 Just to make it more complicated, most people end up en-piste at different locations and instead of buying several jackets for each skiing trip, may prefer a jacket which is versatile enough to roughly accommodate most circumstances. We’ve tried to cover both categories in this round-up of 2019’s best ski jackets. More specialised kit and three-in-one ski jackets which will have a shell and insulation, across a range of budget points. If warmth and insulation are your top priority, then the Arc’teryx Fission SL is one that you’ll want to look at. 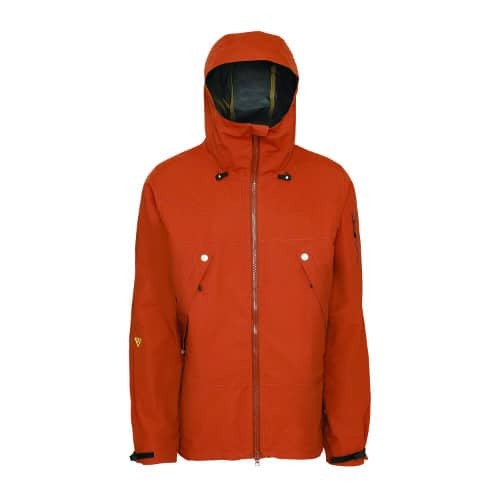 Weighing just a mere two pounds, this lightweight jacket is a doddle to around whilst on the go. It also comes with a fully insulated hood. The coat’s down insulation is body mapped to be effective in key areas and is made with waterproof Gore-Tex material, offering weather protection in changeable conditions. It has waterproof zippers and pit zips to allow for extra ventilation, but our testers found that this could limit its effectiveness – it can prove to be a “stuffy” jacket compared to some others. The coat’s loose, boxy fit isn’t likely to restrict movement during skiing and is roomy enough to wear extra layers if needed. 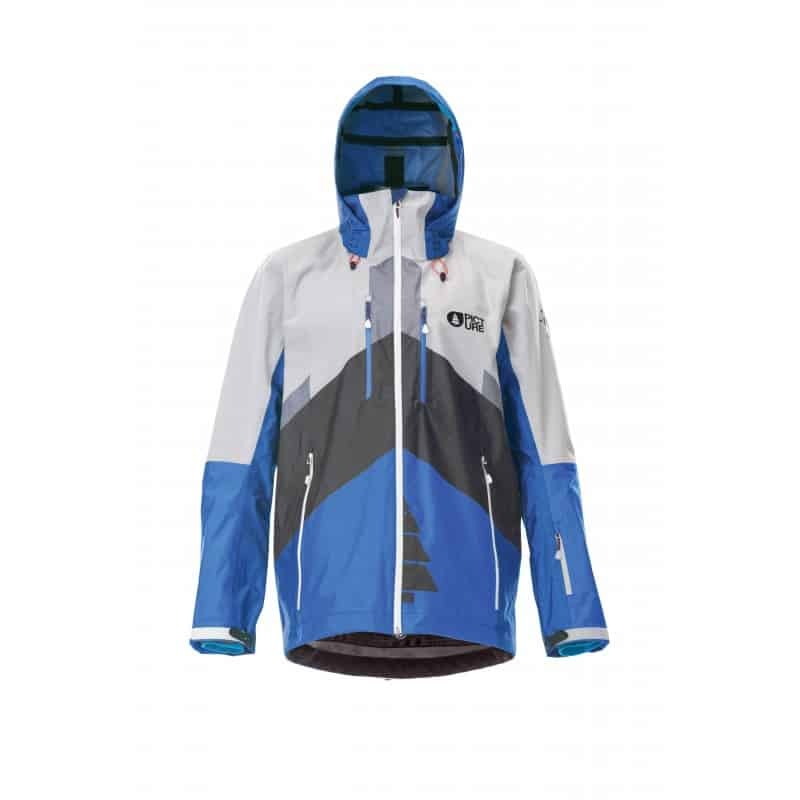 Its high price point may be a turn off for some, but that shouldn’t keep it from being a strong contender as one of the best ski jackets for 2019. 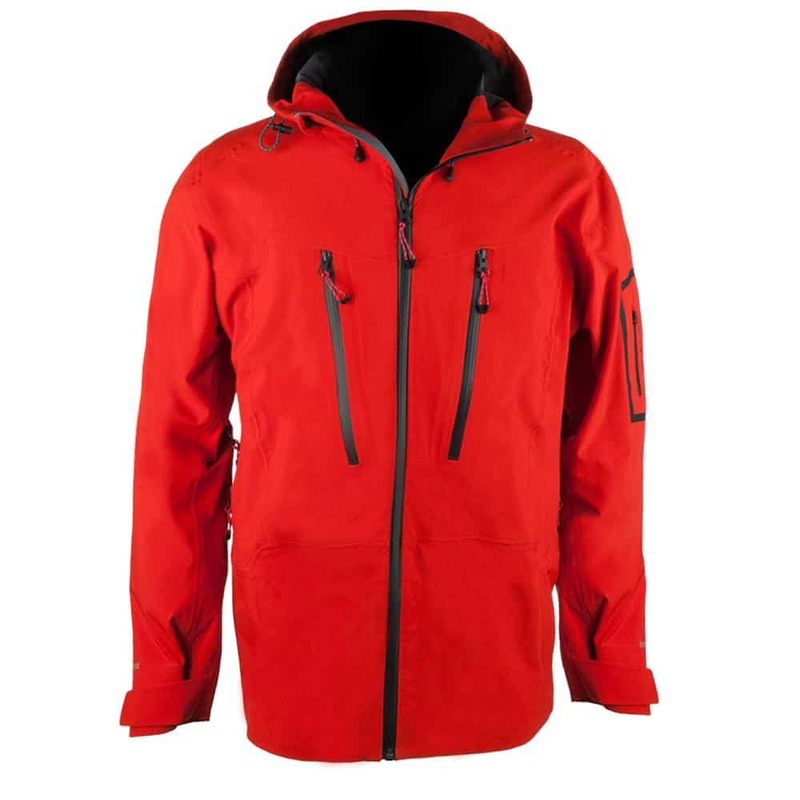 Scott describes this jacket as a “technical uphill ski touring jacket” setting the tone of this straight-to-the-point, functional ski jacket. It is made to regulate the body temperature of the wearer for optimum comfort through the use of Gore-Tex fabrics. The jacket is slim fit, which would be ideal for those who prefer a more compact appearance but possibly a hindrance for those who like a little more wriggle room. It is best for mountaineering and movement. The downside to this jacket is its storage options. It only offers two large exterior pockets, so smaller items could get lost in the large space. 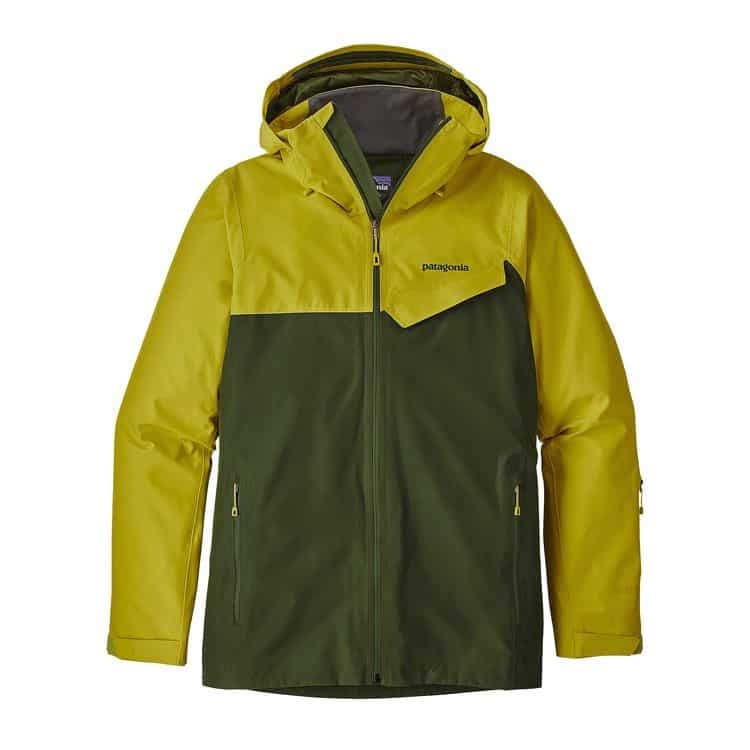 The Gore-Tex fabric that this jacket is made with promises to keep you dry as well as being breathable and comfortable. The vapour technology is designed to cool you down during high activity but keep you warm at essential times. It has no built-in insulation so will not be suitable for those who require extra warmth. It has an adjustable and helmet hood and is fitted with a hemline gripper elastic drawstring rather than a typical snowskirt. Its minimal features make it best for those who like to tour and hike. 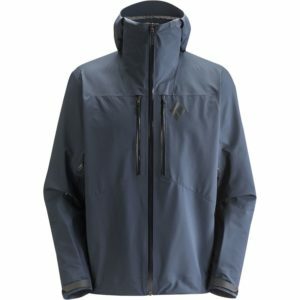 This jacket made with Gore-Tex fabric and C-knit backer technology ensures ventilation for the wearer, as well as its incorporated pit zips. It comes with a helmet compatible hood and has a lightweight feel so it is versatile for a number of situations including mountaineering and skiing. It has an adjustable hem and cuffs, to provide the ultimate comfort for wearers and give them room when needed. 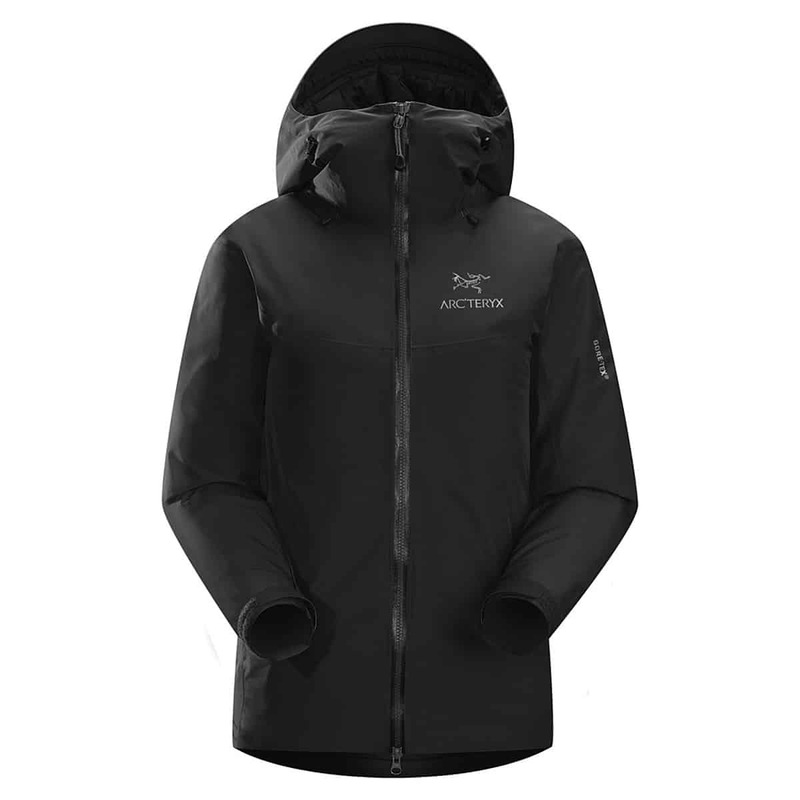 It is 10g lighter than the Arc’teryx and is probably more durable, which is impressive considering it is almost half the price of one of the best ski jackets for 2019. The shape of the jacket allows for layering, so if you find it is not warm enough that can always be remedied. 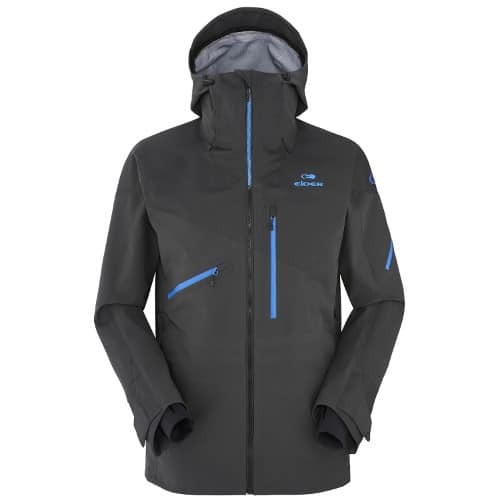 This jacket took three years in the making by Eider for the ergonomic design of the zip and collar which is designed to keep out snow crystals and cold winds. 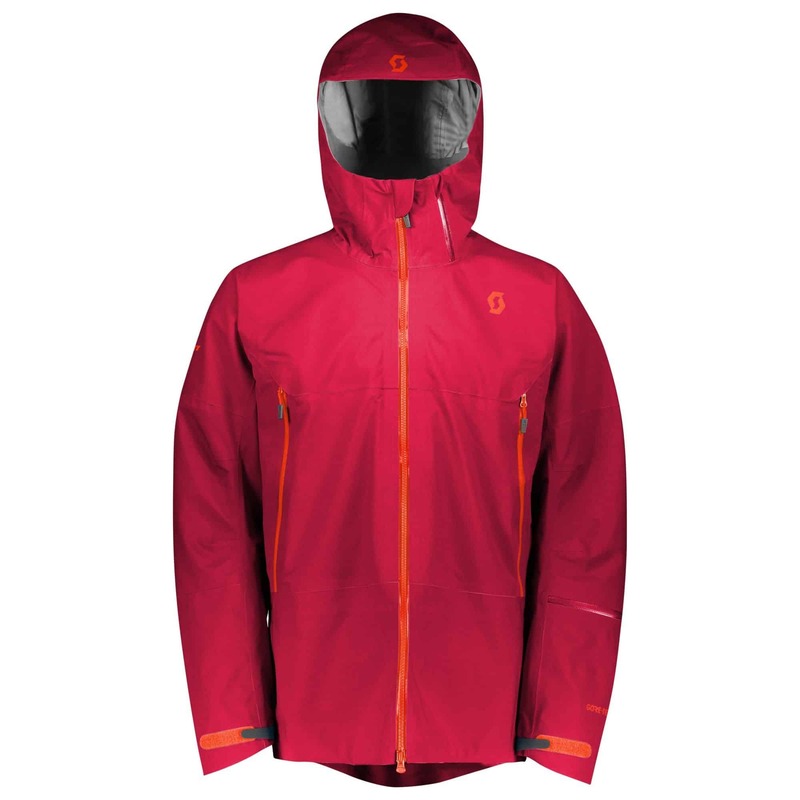 The design of the Shaper is meant to cocoon your head for optimum warmth and insulation. 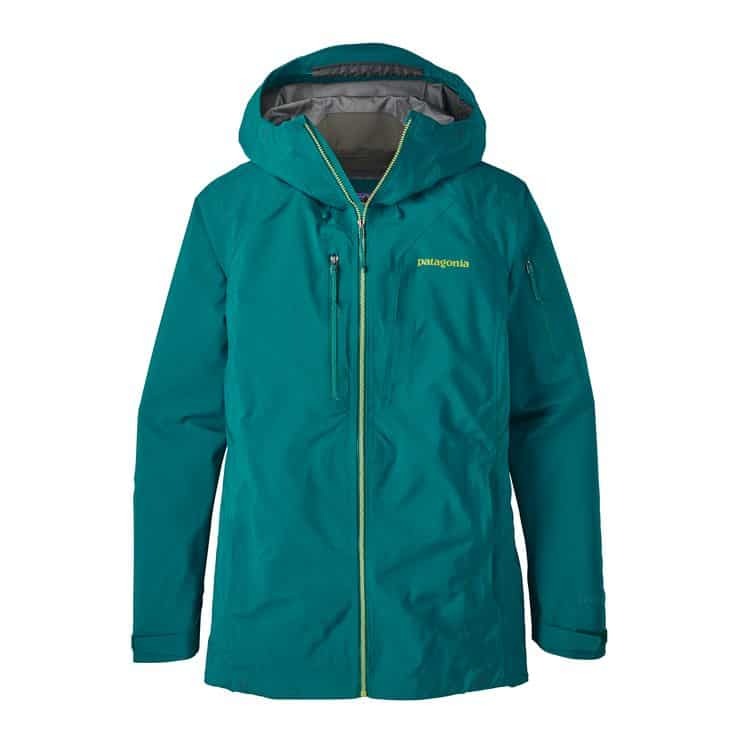 It has a good range of zippered pockets; two on the chest, two hand warmers, one lift pass pocket on the sleeve and an internal zipped pocket. The Eider Shaper has a loose shape to it, which will be perfect for the use of freeriding skiers. It has a detachable powder skirt and if you don’t want to use that, there is always the option of an adjustable hem and cuffs. 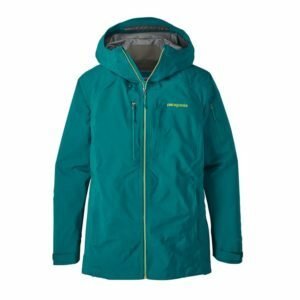 This jacket is made specifically for the freeride market and its two Gore-tex layers provides breathability as well as being waterproof and windproof. It has a removable, two-way helmet compatible hood with a mesh torso lining and pit zips. It has a number of large and small pockets, perfect for items of various sizes as well as interior storage. Consisting of stiff fabric and a tall collar, this jacket protects the wearer from harsh, cold conditions even when the hood is down. It has a loose fit which allows for ventilation as well as layering for extra warmth. 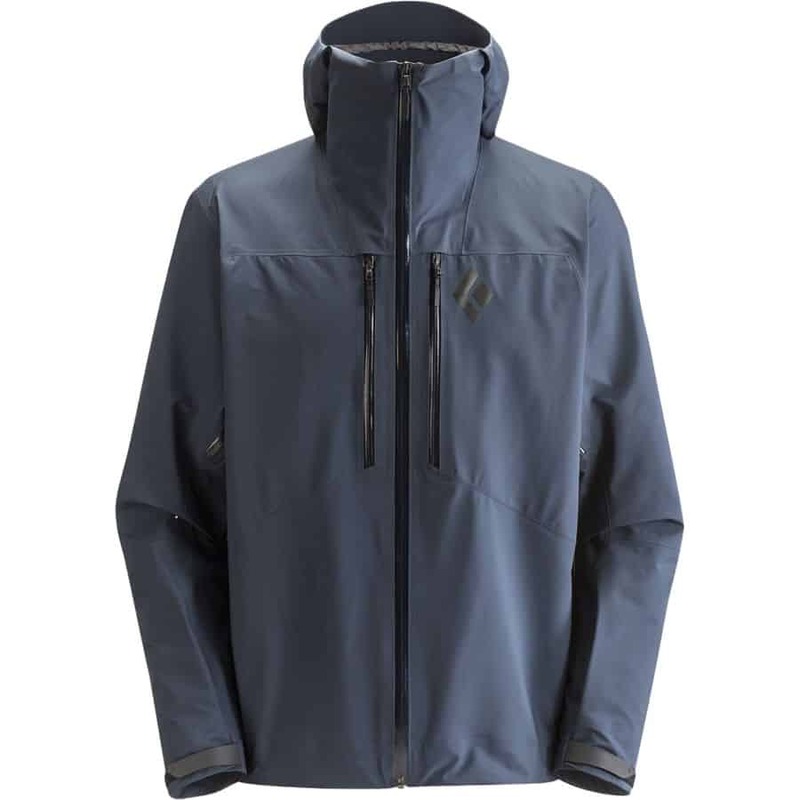 This jacket is made with multi-density fabric which allows for a high level of waterproofing and breathability, the weave differs throughout the body of the jacket, giving more durability where it is needed. The snug hood does not allow for the best peripheral vision but its microfleeced lined collar ensures comfort and warmth at essential times. It has Velcro adjustable cuff and hems but does not come with a powder skirt, which is unusual for this jacket which is aimed at free riders. It has a number of waterproof pockets including two chest and hand pockets and a left sleeve pass pocket. 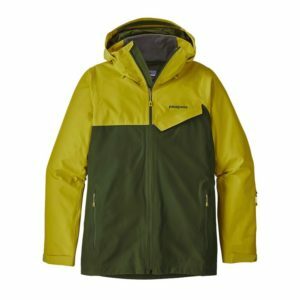 The three-ply, air permeable membrane fabric and DWR finish of this jacket gives it a high level of protection and breathability. Its three-ply design comes at a cost however which means the jacket is quite heavy compared to its counterparts. Its fit is true to size and its longer length makes it great for a decent amount of coverage. It has enough room in the torso and arms to allow for addition layering. It is able to stay warm and dry in the cold, snowy and damp conditions. It has pit zips which allow for temperature control proving the versatility of the jacket. 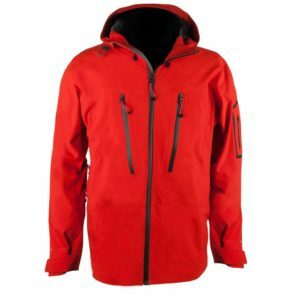 This jacket is best for free skiers. 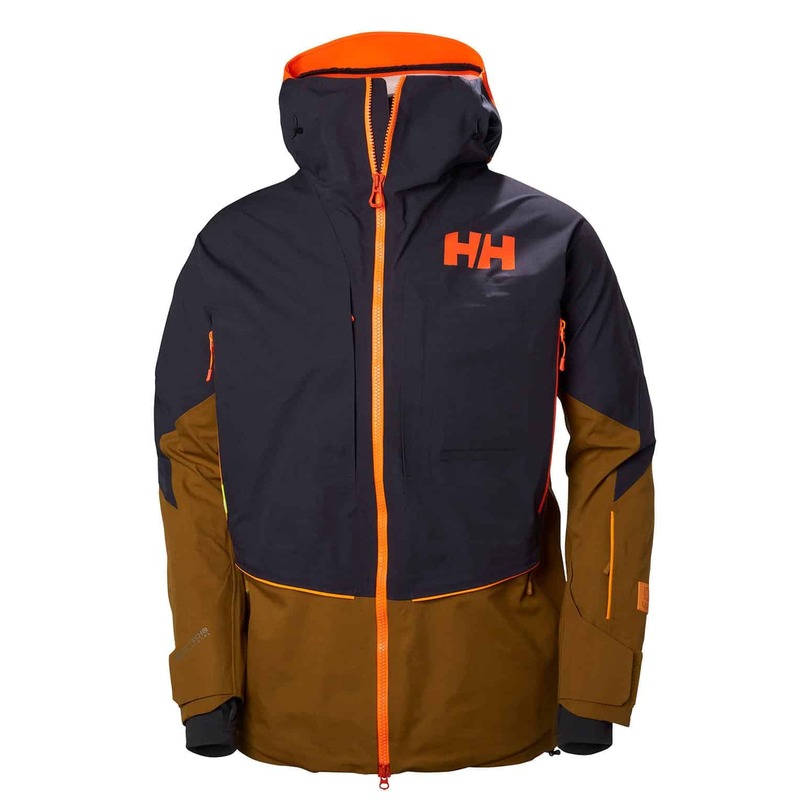 This jacket is a hardshell ski jacket made with a light Gore-Tex Pro material which is thin, breathable and waterproof. It has a relaxed fit with an adjustable Touch Point waist cord and powder skirt for comfort and movability. It has two breast pockets and two lower pockets which are accessible even with the use of a backpack. Its windproof fabric blocks out even the strongest of winds ensuring the wearer’s warmth at all times. 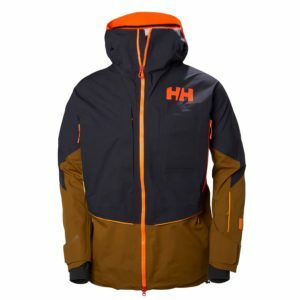 It also holds up well in wetter climates which make it one of the best ski jackets for 2019. The Proton jacket is made with a unique fabric that is perfect for versatility and performance. It has mountain ready insulation, making it very warm and perfect for facing extreme conditions. The polyester fabric allows for movability so wearers will not feel restricted or constrained. It has a regular fit, so sizing up or down is not needed nor is there a worry of air passing through the open spaces. 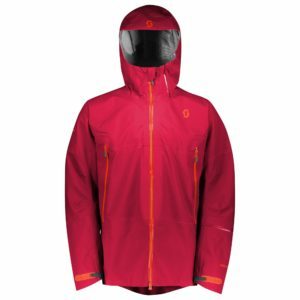 It is fully seam sealed and has a removable water resistant powder skirt, its helmet compatible hood is removable to suit the wearers functional needs. It is incredibly water resistant and is able to face even the wettest conditions.